Hundreds of banks and credit unions across the country, from national institutions to regional banks with just a few branches, work with Paychex to help their business customers navigate a complex regulatory environment with market-leading payroll, HR, and employer benefit solutions. Extend the value you bring to customers and stay competitive in your market with powerful payroll, HR, and benefit solutions. Simply identify your prospects and you’ll collect a referral fee once a Paychex representative closes the sale. Our sales reps will identify Paychex clients and prospects in your markets who are in need of banking services. 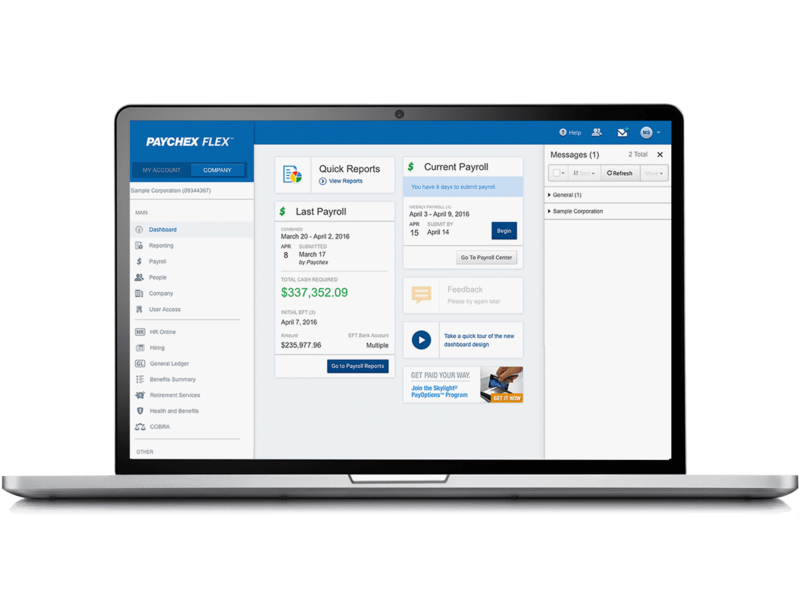 Paychex Flex®, our cloud-based HR solution, integrates services spanning the entire employee life cycle, all within a single platform accessible on any device. Plus, personalized service from our highly trained payroll and HR professionals can help your customers make the most of Paychex Flex technology and help them in their efforts to stay compliant with regulatory changes. By partnering with Paychex, your institution can offer business customers award-winning HR solutions backed by dedicated service professionals — helping enhance your role as a trusted advisor and differentiating your bank from competitors. Help create new cross-sell opportunities and additional fee income with our flexible payroll and HR solution. It can also help increase adoption of online banking and open the door for your workplace banking programs, as the vast majority of Paychex clients use direct deposit. When you refer payroll services, it gives your customers a significant reason to stay with you. Plus, the high customer satisfaction that can result from our client-focused service culture can reflect positively on your bank.